LABO ANALYSES 3x MORE ANTIOXIDANTS! THE WONDER OF OUR ORGANIC DETOX GREEN TEA COLD BREW BLENDS. AMAZING NEWS - TESTED and ANALYSES by SGS institute Fresenius in Germany June 2016. 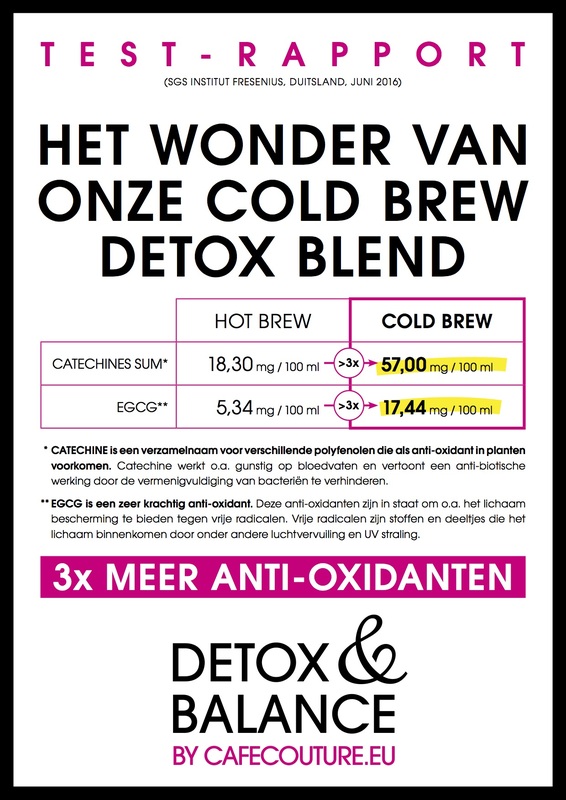 OUR DETOX COLD BREW BLENDS contain 3x MORE EGCG & CATECHINS (ANTI OXIDANTS) than any other hot brew blend. Last months we are talking to bigger clients who wanted to know what we were saying ... was right. Well ... the AMAZING RESULTS ARE IN! And it is PROVEN now by SGS institute Fresenius in Germany. EGCG is a powerful antioxidant that effects against free radicals & prevent cellular damage - the common pathway for aging, variety of disease and beginning of healthier lifestyle & weight loss. Catechins are known as antioxidants. Antioxidants protect the body from free radicals that are thought to play a role in everything from heart disease & more. What more do you want? START NOW! We suggest our Detox & Balance program where you can start with a cleansing of 16 days. This way you will notice how your body reacts to sugarless drinking. Continue and find balance in your (healthy) meals & movement. We do not believe in miracles. We believe in changing lifestyles. YOU CAN change your drink habbit, do it & start now! Change now. After these 16 days you change blend and/or use it on a regular daily base. It becomes time that we start to realize what we are putting into our bodies TODAY! This cold brew Detox system was created by our owner who was a former professional basketball player. He was convinced that he could create a better, cleaner & healthier 100% organic drink without any addictives! So he created 100% orgnanic 7gr whole leaf unique green tea blends/bags and started testing with the COLD BREW DETOX METHOD. WATER IS NOT ANYMORE THE HEALTHIEST DRINK ON EARTH. Drinking & cleansing from today on. 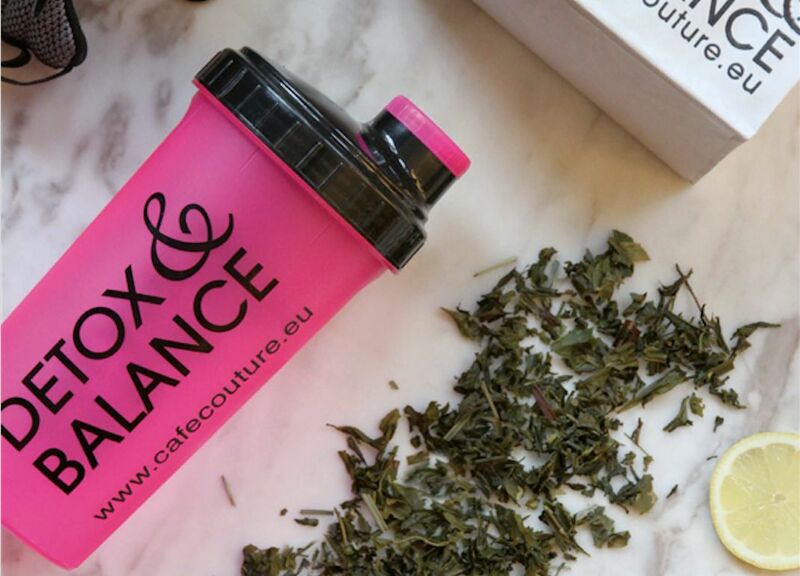 You can find these Detox & Slimming blends in our menu above under '16 DAYS DETOX'. We also integrated these blends to have refreshing delicious ice tea's. You can find these under 'COLD BREW ICE TEA'.